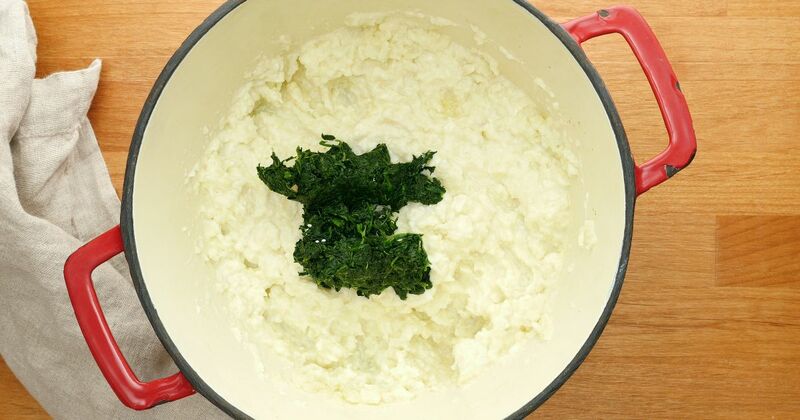 Mashed potatoes are a comfort food favorite side dish, and those on a low-carb diet don't need to eschew them entirely. Subbing mild cauliflower in for the potatoes makes just as delicious a side dish. 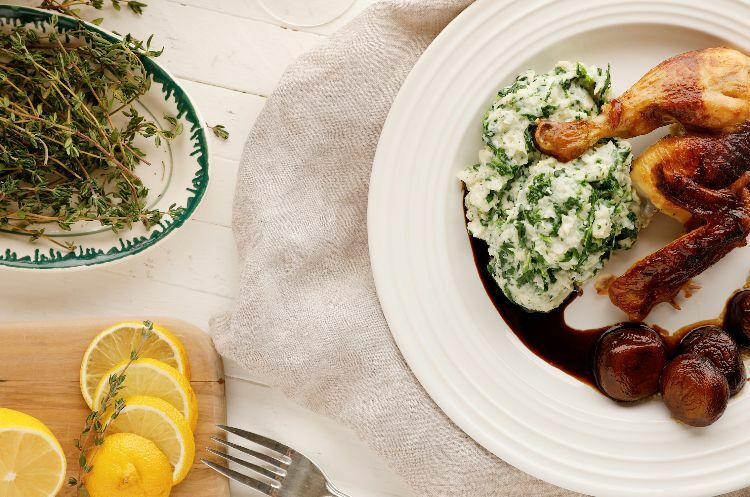 The recipe below pairs it with spinach for flecks of green color and tons of vitamins. This recipe is the ideal way to get your kids to eat their greens. Butter, garlic and a bit of cream cheese makes this side dish super flavorful. Try it out – it's sure to be a hit with the whole family. Place the cauliflower and the garlic cloves in a steamer basket. Steam for about 15 to 20 minutes, until quite tender. Drain and mash using a masher. You can also use an immersion blender for a creamier texture. Mash or blend in the butter, sour cream and cream cheese. Stir until well-combined. Fold in the choppe spinach, salt, pepper and nutmeg. Serve in mounds with a pat of butter on top.